Air ducts and Extractors are a special challenge for cleaning services. In the case of long and winding ductworks even nozzle extensions and angular nozzles do not solve the problem. Often the cleaning of these ducts is all the more urging as residues can interfere with the air draught and – in extreme cases – form the breeding ground for bacteria and fungi. In cooperation with Danduct Clean White Lion offers the proper solution for this task. 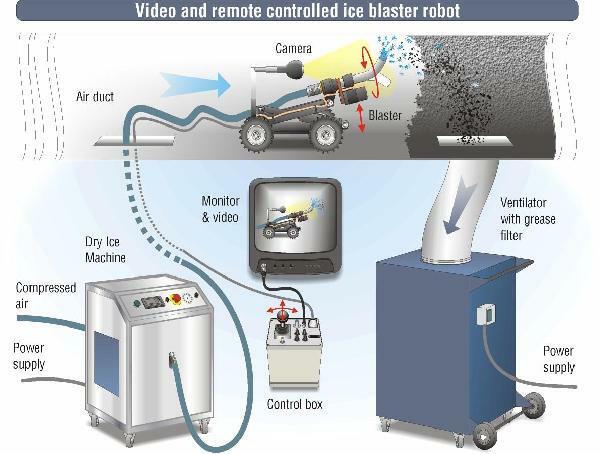 The Danduct Clean Ice Robot is a small, remote controlled robot vessel that cleans air ducts efficiently. But how does it work? 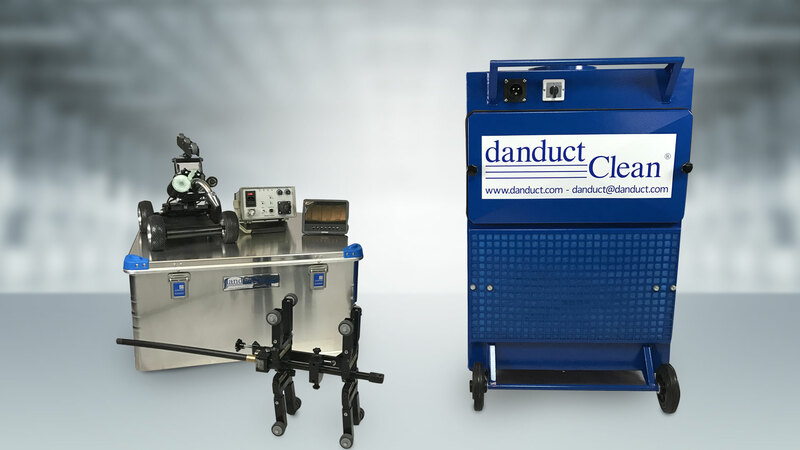 The Danduct Clean Ice Robot cleans air ducts with the dry ice blasting procedure. You simply attach the blasting hose of your White Lion dry ice blasting device to the robot and put it into the duct. With the convenient joystick control you can now let the Danduct Clean Ice Robot do its work. A rotating angular nozzle at its front frees the whole inner surface of the duct from contaminations. Due to the thermal and the kinetic effect of the dry ice blasting procedure the dirt simply flakes off. At the other end of the ductwork you connect a ventilator to the duct to extract the debris from the ductwork. A camera on top of the robot lets you overlook the cleaning process and present its result to your customer. With the Danduct Clean Ice Robot you can offer a new cleaning service to commercial kitchens, industrial facilities and house managements. Are you interested? Feel free to contact us!